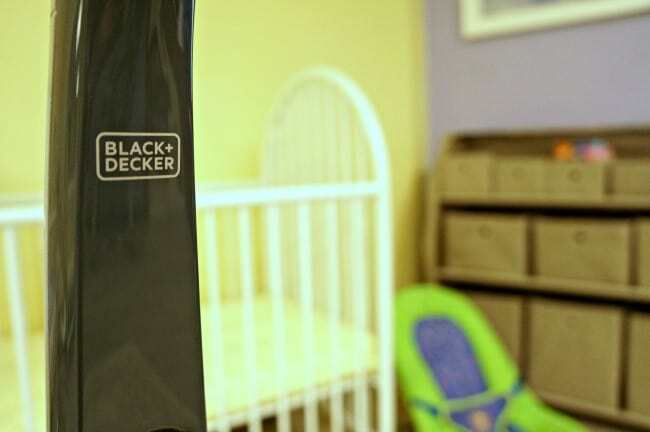 Thanks to BLACK+DECKER for providing a product featured in this post. All opinions here are my own. You can view my full disclosure policy here. 2016 was a year like no other. My church building was purchased for use in a new development which means we had the opportunity to construct a new building just down the street. It was a year full of faithful volunteer labor and lots of hard work. This past Sunday we celebrated this amazing feat with our first service in the new building. 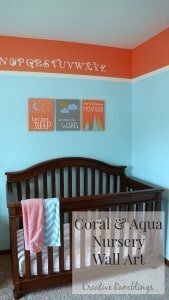 Today I’m sharing a peek at our church nursery and how we decorated the room using inexpensive DIY art. I’m also talking about how we are keeping this room clean for our little ones. These are the same tips I use to keep our playroom at home clean and tidy. Read on for playroom decor ideas and some handy cleaning tips. 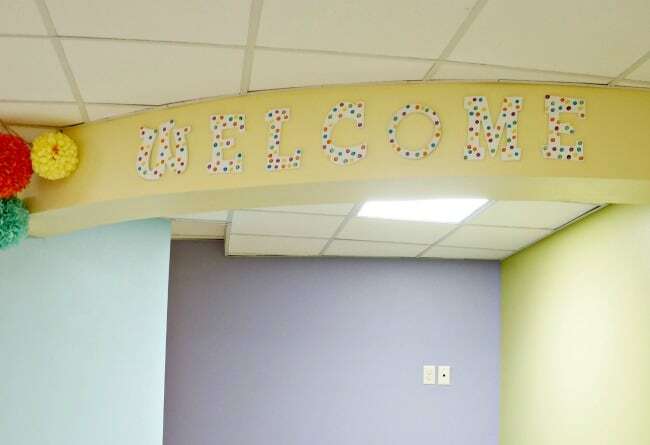 Our church nursery and preschool rooms have a durable vinyl floor and brightly painted walls. They also have built in cabinets and adjoining bathrooms perfectly sized for little ones. This is a great place to start but we needed to add some cozy finishes and eye-catching art to make the rooms comfortable for our kids. 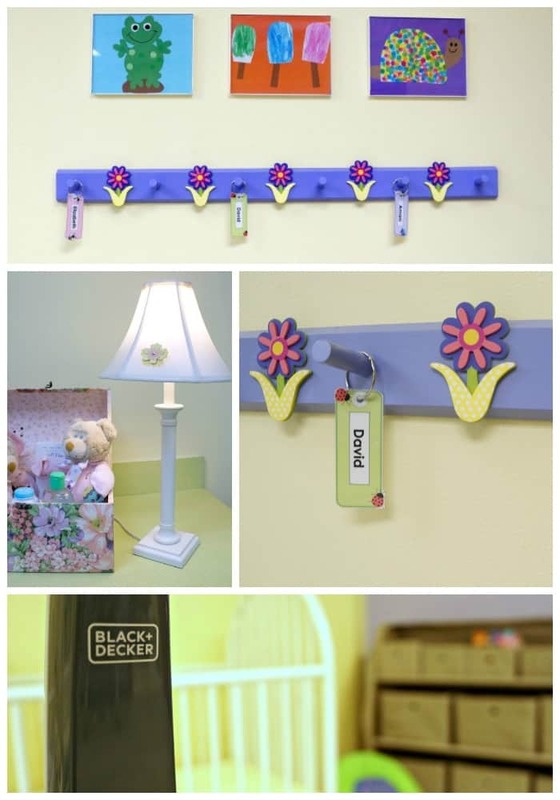 This is how we decorated the walls with simple and inexpensive playroom decor. These pretty pictures were taken from a free calendar and put into inexpensive plastic frames. You can also use scrap paper or fabric to create pretty and colorful wall art. 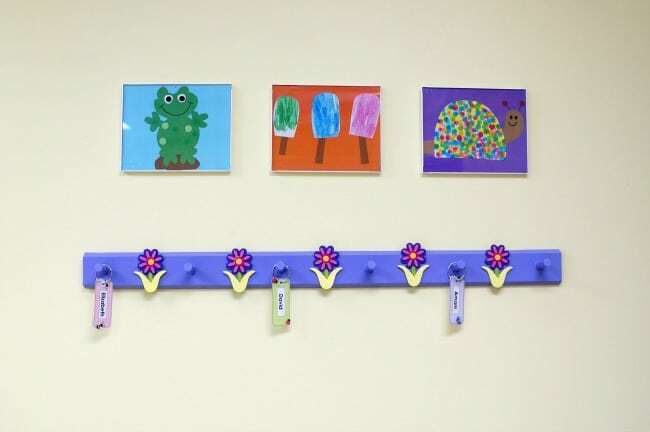 A simple set of hooks was painted and personalized for a few of our littlest members. A colorful sign to welcome families made with wood letters and a little paint. A cozy rug, small lamp and some baby essentials make the nursery feel like home. This nursery is brand new and has only been used by children once. However, we know very well that as the weeks go on there will be messes. Cracker crumbs, spilled milk, paper scraps and more. To keep this room, and the other preschool rooms, clean we have a BLACK+DECKER 2 in 1 cordless stick vacuum on hand for life’s little messes. I have this vacuum at home and we use it multiple times a day. It was a life saver during the holidays, and keeps my wood and carpet clean after meals and play time. 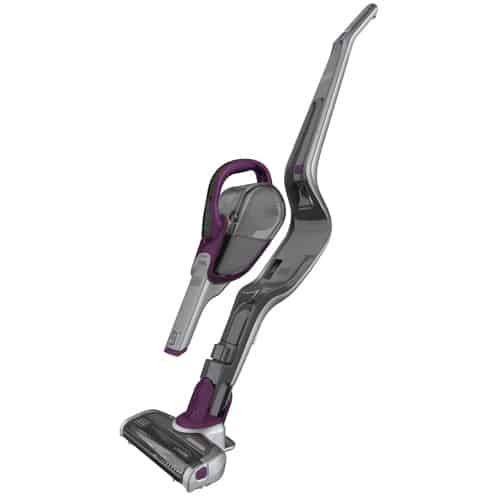 This BLACK+DECKER 2 in 1 cordless stick vacuum is perfect for Sunday School teachers to easily clean up messes during class. The rooms are deep cleaned during the week, but this vacuum is ideal to keep the room neat and comfortable for kids while they play. It uses a lithium ion battery so no cords to fumble with and an easy charger to keep it fully powered between uses. 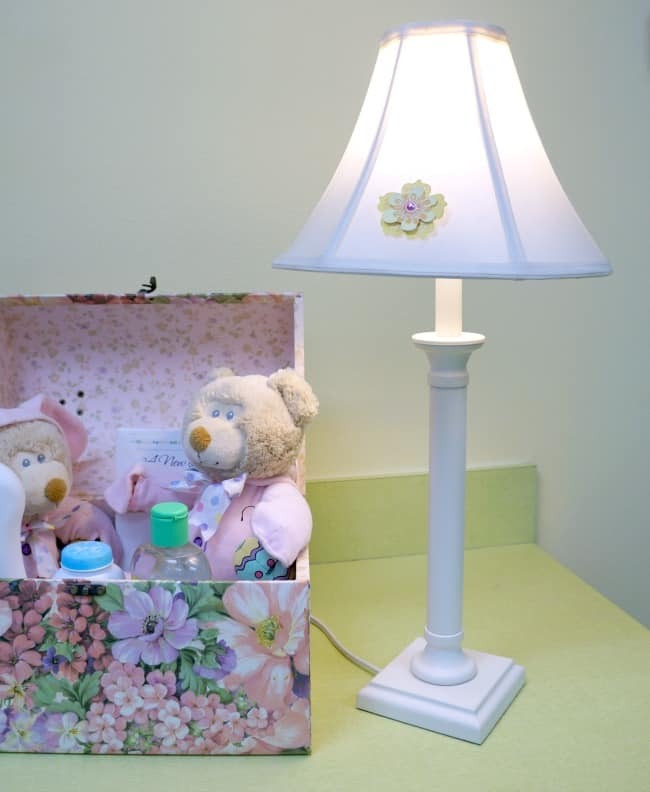 Playroom decor can be easy and inexpensive, check out these simple ideas I’ve used in my home to brighten up our spaces. Beautiful playroom decor always looks better when the room is clean. I hope you are inspired by these simple decor ideas and ready to grab a BLACK+DECKER 2 in 1 cordless stick vacuum to keep your spaces clean.